After several decades of trying to get a comprehensive health care law passed the feat was finally passed in March of 2010 with the Patient Protection and Affordable Care Act (ACA). Championed by President Barack Obama, the act’s main components take full effect January 1, 2014. But, many Americans are still very confused as to how the new health care regime will work, and what it will mean for them. This article will help clear up much of the confusion. 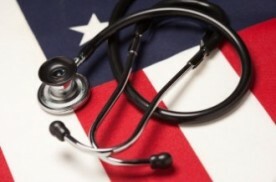 The cornerstone of the Patient Protection and Affordable Care Act is that all United States citizens will be required to carry health insurance as of January 1, 2014. Before the insurance mandate goes into effect, citizens will have the ability to compare and select among various healthcare plans as of October 1, 2013. For those who do not carry health insurance, the government will impose a monetary penalty in the form of a federal tax. This tax will be approximately 1% of their adjusted gross income for the first year and up to 2.5% by year three, and will affect those who have not enrolled in healthcare coverage by the end of open enrollment on March 31, 2014. The maximum tax penalty will be set at $47.5 per child, $95 per adult, and $285 per household or 1% of the adjusted gross income, for the first year. December 15, 2013 will serve as the cut-off date for paying your first premium, so that you will have enough time to ensure you are covered by January 1. 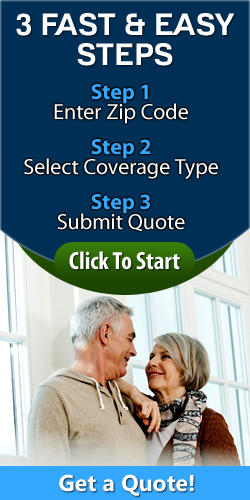 The Bronze plan is the lowest form of coverage. It has the lowest monthly premium, and the least coverage, at 60% of healthcare costs. This means that the plan covers around 60% of the medical costs and the insured would be responsible for the other 40%, up to a predetermined dollar amount, maxing out at $6350 per person. The Silver plan covers around 70% of your medical expenses. It will have a higher premium than the Bronze plan. As the plans increase from Bronze to Platinum, the deductibles get smaller, the percentage of the medical costs you pay get smaller, and the maximum out of pocket you will be responsible for gets smaller. These items are called “cost-share”. The Silver and Gold plans are expected to make up the “standard” plans which Americans select. The Gold Plan offers coverage of around 80% of your medical expenses. It costs more than the Silver plan, but may be a better option for people who anticipate significant medical expenses. The Platinum plan has the highest monthly premium, but also offers the best coverage at around 90% of your medical expenses. What are the Benefits of Buying Your Plan through Heidi Olsen Insurance Services? These plans will be offered on and off of the healthcare exchange or market place. There will be more plan options offered off the exchange to choose from, however, if Americans qualify for a Premium Subsidy then they will have to purchase the plan on the exchange. Plans can be purchased directly from the exchange or with the help of a certified insurance agent, such as Heidi Olsen. The exchanges will only show plan options that are offered on the exchange, whereas, insurance agents can show plan options both on and off the exchange. The cost of the health care plan you choose is affected by several factors, such that not all people who select the same plan will pay the same premiums. Factors, which affect your premium, include your age, your income, the size of your family and where you live. Give Heidi Olsen Insurance a call today to help you find the plan that is right for you and your situation.